As we continue our analysis of the ABC literature, we turn our attention today to a study that validates the biological model of full term birth creating the terminal differentiation (maturing) of cancer-prone Type 1 and Type 2 breast lobule cells into cancer resistant Type 4 cells. This is an important paper, as it is an analysis of 47 epidemiological studies from 30 nations involving over 149,000 women. It affirms what is called the protective effect of full term pregnancy, and does so in a striking way. The results of the analysis indicate that for every full term pregnancy, a woman decreases her risk of BC by 7%. For every year that she breastfeeds she reduces her risk an additional 4.3%. For a great illustration-rich and detailed explanation of the protective effect from the Breast Cancer Prevention Institute, click here. Those who seek to deny the ABC link in the literature often say that it isn’t the abortion that causes the BC, but the loss of the protective effect of a full term pregnancy. That’s like saying the bullet didn’t kill the victim, it was the loss of blood. Title: Breast Cancer and breastfeeding: collaborative reanalysis of individual data from 47 epidemiological studies in 30 countries, including 52,302 women with breast cancer and 96,973 women without the disease. Authors: Valerie Beral, et al. (Note, the paper copy I have refers to the additional authors being found on the web index to which I currently have no access). Journal: The Lancet, Vol. 360 (no. 9328), 20 July 2002. Methods: Individual data from 47 epidemiological studies in 30 countries that included information on breastfeeding patterns and other aspects of childbearing were collected, checked, and analyzed centrally, for 50,302 women with invasive breast cancer and 96,973 controls. Estimates of the relative risk for breast cancer associated with breastfeeding in parous women were obtained after stratification by fine divisions of age, parity, and women’s ages when their first child was born, as well as by study and menopause status. Findings: Women with BC had on average, fewer births than did controls (2.2 vs 2.6). Furthermore, fewer parous women with cancer than parous controls had ever breastfed (71% vs 79%), and their average lifetime duration of breastfeeding was shorter (9.8 vs 15.6 months). The relative risk of breast cancer decreased by 4.3% (95% CI) for every 12 months of breastfeeding in addition to a decrease of 7.0% for each birth. The size of the decline in the relative risk (RR) of BC associated with breastfeeding did not differ significantly for women in developed and developing countries, and did not vary significantly by age, menopausal status, ethnic origin, the number of births women had, her age when her first child was born, or any of the other personal characteristics examined. It is estimated that the cumulative incidence of breast cancer in developed countries would be reduced by more than half, from 6.3 to 2.7 per 100 women by age 70, if women had the average number of births and lifetime duration of breastfeeding that had been prevalent in developing countries until recently. Breastfeeding could account for almost two-thirds of this estimated reduction in breast cancer incidence. •	The short duration of breastfeeding typical of women in developed countries makes a major contribution to the high incidence of breast cancer in these countries. •	If in the future the mechanism of the protective effect of breastfeeding on breast cancer were understood, it might be possible to prevent BC by mimicking the effect of breastfeeding therapeutically or in some other way. •	If women in developed countries had 2.5 children, on average, but breastfed each child 6 months or longer than they currently do, about 25,000 (5%) breast cancers would be prevented each year. 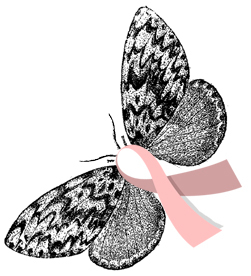 •	If each child were breastfed an additional 12 months, about 50,000 (11%) breast cancers might be prevented annually. Now, what does all of this indicate relative to our ongoing analysis of the literature? First, we have detailed the normal physiology of the breast and indicated how the number of immature cells doubles in the first trimester of a first pregnancy. Second, we have discussed the role of placental lactogen in maturing 85% of these cells to cancer resistant cells beginning in the latter half of the second trimester, and finishing shortly after week 32 (mid-third trimester). We have also seen here further evidence of the protective effect of full-term pregnancy and breastfeeding (with the continued maturational effects of lactation hormones on the remaining 15% of immature, cancer-prone cells). We have seen studies that indicate a 30-50% rise in the general population of women in breast cancer if they have abortion before a FFTP, which points to the loss of protective effect in bringing the baby to term and further loss of protective effect when there is no baby to breastfeed. We have seen that even ardent advocates of abortion (I have accepted the corrections offered me in not using ‘pro-abort’), such as Palmer and Rosenberg in paper #1 stand by their methods and numbers, but point to the discredited studies that suggest recall bias in a desperate attempt to blunt the impact of those data. It is well known and uncontested that estrogen is a WHO group 1 carcinogen. It is well known and uncontested that estrogen levels rise dramatically in early pregnancy, stimulating a doubling of the immature, cancer-prone cells of the lobules. This giant analysis in The Lancet validates directly the protective effect of pregnancy and breastfeeding, and necessarily implies the consequences of no protective effect from induced abortion. This is not unreasonable to conclude, as the authors are presenting such dramatic statistics based upon the remaining 15% of breast lobule cells after a FFTP! It is all the more certain that when induced abortion leaves the additional 85% of lobule cells in their immature and cancer-prone state that the incidence of cancer should rise proportionally to the number of cancer-prone cells left behind by abortion. Question: my wife breastfed 5 of our 6 kids, totaling around 48 months of breastfeeding. 2 children were premature, one extremely so (which is why she couldn’t be breastfed). Not sure how to classify the risk factor change from the one pregnancy (35 weeks). The extremely premature baby was born at 26 weeks. I would imagine that this increases the risk. So, excluding the preemies, my wife’s risk factor has decreased by 45.2% because of 4 full-term pregnancies and 48 months of breastfeeding? Your blog is, as always, thoughtful and didactically humorous at times. It makes me remember how much I liked talking with you. Nonetheless, although I hate to be perceived as making frolicsome comments on your blog, or to suggest any moral disagrement with its honorable host, but I have given the matter considerable thought and have reached a completely different conclusion: It wasn’t the bullet or the loss of blood that killed the victim, it was his tragic failure to duck. You were the only thing that stood between me and certain insanity during our premed years at Columbia! Your frolicsome levity is just the leaven needed in the midst of such serious matter. We mustn’t forget to laugh, especially in the face of evil!